Snap! 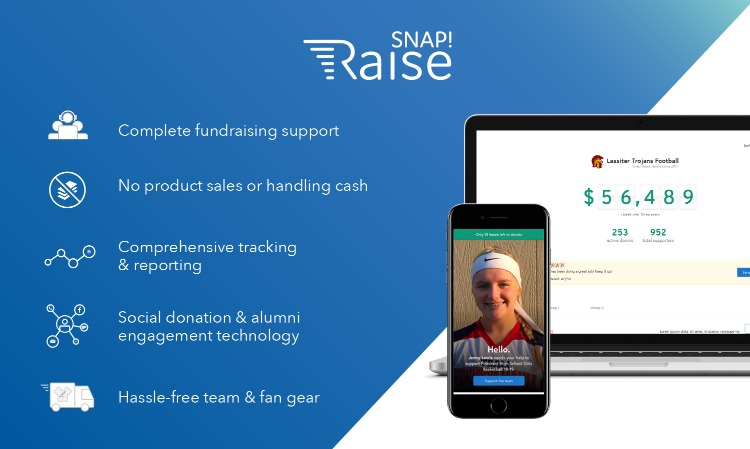 Raise is a streamlined fundraising solution built for kids, coaches and parents who are tired of ineffective fundraising tactics that waste valuable time. 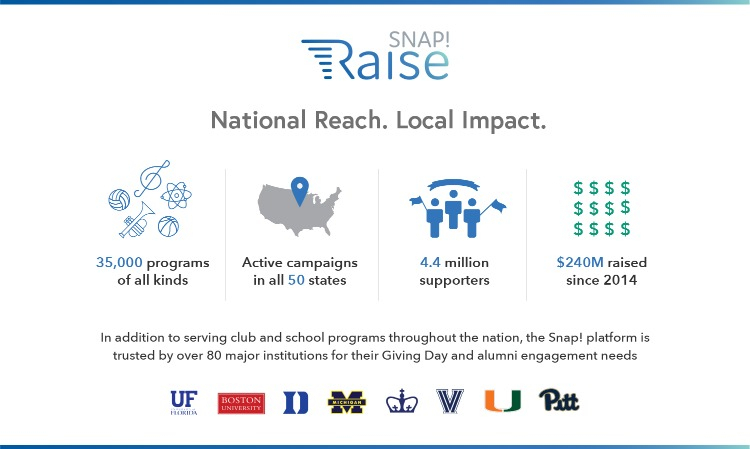 With over $240 million raised by programs across the country, Snap! 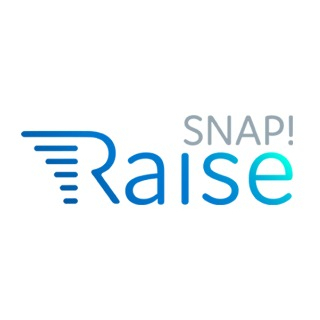 Raise makes raising funds faster, safer, and more reliable than ever before. In addition to serving club and school programs throughout the nation, the Snap! platform is trusted by over 80 major institutions for their Giving Day and alumni engagement needs.